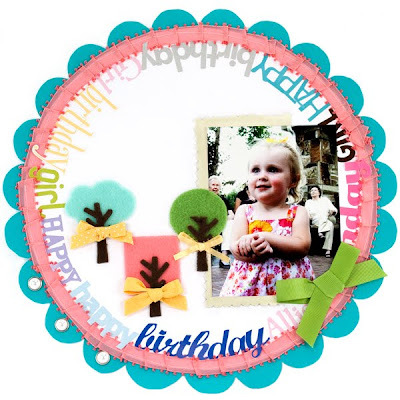 I've got a layout featured on the American Crafts Studio Blog today! Wanna know a secret? This is my cousin-once-removed, and it wasn't really her birthday, it was my cousin's bridal shower, buuuuut...what can you do. I loved the photo and wanted to scrap it. There. Secret's out. I feel much better now. such a cute layout paige! i am NOT good with circles & you make it look EASY!! Hey...Would there be any way that we can get a copy of this? I would be happy to pay whatever, I would love to put this in Alli's baby book.